Robert Eisenstein, Folger Consort co-Artistic Director, leads a lively seminar that offers a sneak peek at the music performed by Folger Consort in its upcoming concerts, Tastes of the Mediterranean: Music of 16th-century Spain and Italy. On-stage at the Folger Shakespeare Library, March 29-31. Seminar includes a wine reception. 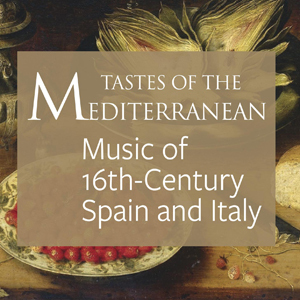 Music discussed includes works by such composers as Vincenzo Ruffo and Marchetto Cara, as well as music from two historic manuscripts: the Cancionero de Palacio and Cancionero de Uppsala.